NCP Again Named One Of The Best Companies To Work For! Four years in a row! That’s how many times NCP has been named as one of the best companies to work for in New York State. We’re all very proud of this accomplishment. The New York State Society for Human Resource last week announced NCP as one of the 70 employers that were honored as part of its 2018 Best Companies to Work for in New York state awards. According to the group, to be considered for participation organizations had to fulfill specific registration eligibility requirements, then participate in a two-part survey of employee satisfaction and engagement, as well as workplace practices and policies. Best Companies Group, an independent firm that manages Best Places to Work programs on state, regional and national levels around the world, conducted the survey, then evaluated the results and determined the best places of employment in New York. NCP was in the “small” company group, made up of 15 to 99 employees. But the best is that of the 27 winners in this category, we were one of the only two based on Long Island. And let me tell you, there are a lot of small businesses based on Long Island! We hope to continue our streak into next year and beyond. Have you taken our survey yet? If not, please do so soon! Thanks for your support, and I hope you have a great day! Hi. We’d like to hear from you regarding your thoughts about the NCP Blog – what do you like and what should we work on improving. So I’d appreciate if you could take a few minutes to answer our brief survey. Just go to https://www.surveymonkey.com/r/NCPBlog and give us your opinions! Please respond to the survey by Friday, April 27. Thank you, and I hope you have a nice warm weekend! It’s finally going to be warmer this weekend, at least on Long Island. So I’m finally motivated to start my spring cleaning! Vacuum your refrigerator’s coils: Keeping the coils clean increases energy efficiency, saving you about 6% of your fridge’s electric bill, according to a study by the Sacramento Municipal Utility District. To get started, unplug the refrigerator or turn off the power. Access to the coils varies by model; some can be reached from the front and others from the back — and you may need to remove a plate or grill first. Clean or replace the AC filter: According to the Energy Department, an air conditioner with a dirty filter can use up 5% to 15% more electricity than with a clean one. Clean your vacuum cleaner: Once a year, wipe down the canister inside and out with a damp rag; use an old brush or comb to remove string and other debris stuck in the rollers and check the belts for wear and tear (replace them as needed). Be sure to inspect the suction tubes and cleaning attachments to dislodge any clogged material and check for holes — easily fixed with duct tape. Cash-in on clutter: Check out areas you may not normally go through on a regular basis. Find out what’s lurking in your basement, shed, garage, and attic. If you forgot you have something, chances are you could live without it. So have a yard sale. Or, donate unwanted items to a national or local charity. Re-use rather than buying new: Spring cleaning is the perfect time to go through everything you own and find all of those things you can re-use. Not only are you saving money that you’d otherwise have to spend, but reusing is good for the environment. You can re-use and re-purpose everything from clothes to furniture to vegetable scraps. Check your appliances and save on energy: Do an appliance check. Find anything with a cord and see if it’s plugged into an outlet. If so, does it need to be? If you use your printer once a month, maybe it doesn’t need to stay plugged in and turned on 24/7. Cut it off and save on energy until you actually need to use it. Take inventory of what you already have: So often we go out and spend money buying things we already have. While you’re cleaning and getting organized, take inventory of everything you own. Organize your fridge and pantry and make it easy to find and take stock of what you have in there. This makes it much easier to cook at home and meal prep, which are both great ways to save money. 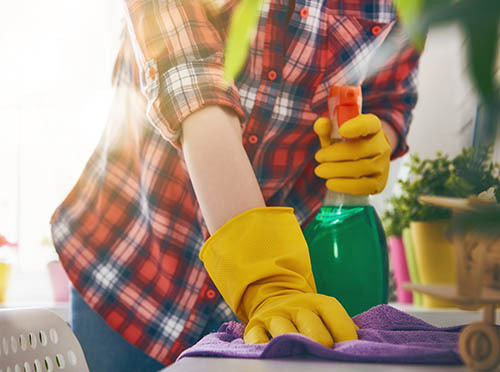 What’s your best spring cleaning tips? Let us know! Spring is also a perfect time to enjoy the outdoors. Maybe you’ll buy a new pair of sneakers, a new bicycle, new sports equipment, or other outdoor gear. If you do, be sure to report those purchases. And, make sure other household members, if any, tell you about their purchases, too. Everyone in your household is an important part of the panel and their purchases and opinions also count! Thanks, and enjoy your spring cleaning! Last weekend, my daughter and I went shopping for some makeup. We went to a number of different stores and after searching around, we were finally able to find what we wanted. That evening, though, I was speaking with one of my cousins who said that she’s getting a lot more of her cosmetics online. She said the convenience and the wide selection of products were the biggest appeal for her. 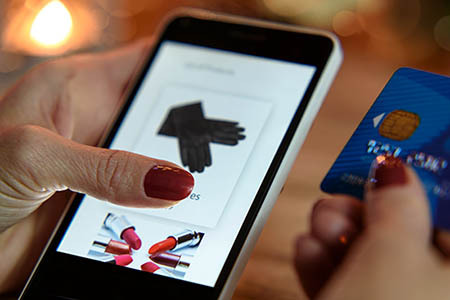 So this of course got me thinking: According to the Nielsen Company, consumer spending on beauty products has shifted online faster and greater than nearly every other packaged goods category. In fact, nearly one in three dollars spent on beauty products in the U.S. today is spent online. To be specific, Americans spent over $12 billion on beauty and personal care products online over the last year, according to Nielsen. How often do you buy health and beauty products online? If you don’t buy them online, what type of store do you typically buy them from (drugstore, mass merchandise store, cosmetics stores, etc.)? Remember: If you do purchase anything online, make sure to record the purchase as soon as you receive it.